See here. Apparently this is where they’re sending the folks who developed Vista. 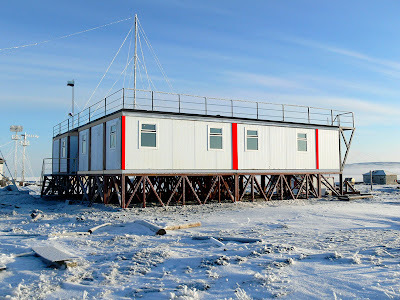 Code name for the labor camp, er, “data center,” is “Ice Station Zebra.” You’d think after all these years that nothing about Microsoft would frighten me or surprise me. But honestly, Chairman Bill just gets more and more like Stalin the older he gets. I just read “Journey into the Whirlwind” and I swear you could change the names and it would sound like the stories we’ve heard from folks working under Craig Mundie.